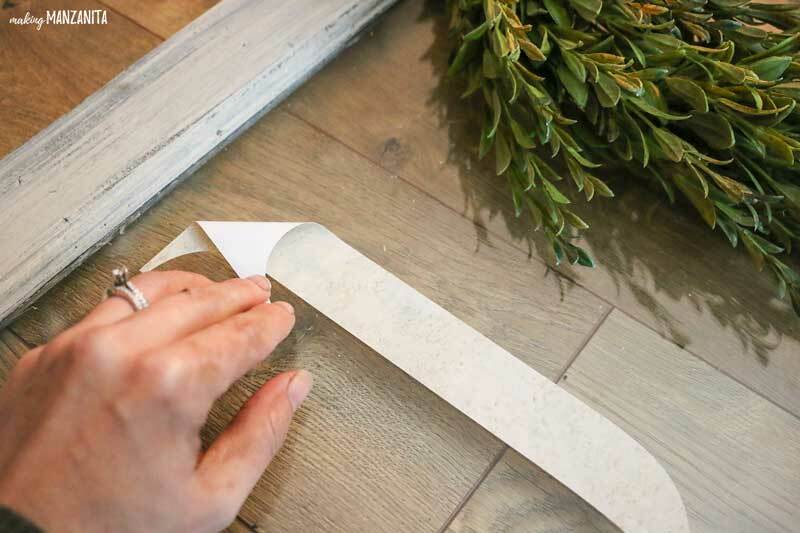 If you’re looking for an easy to make Christmas DIY, you’re in luck. 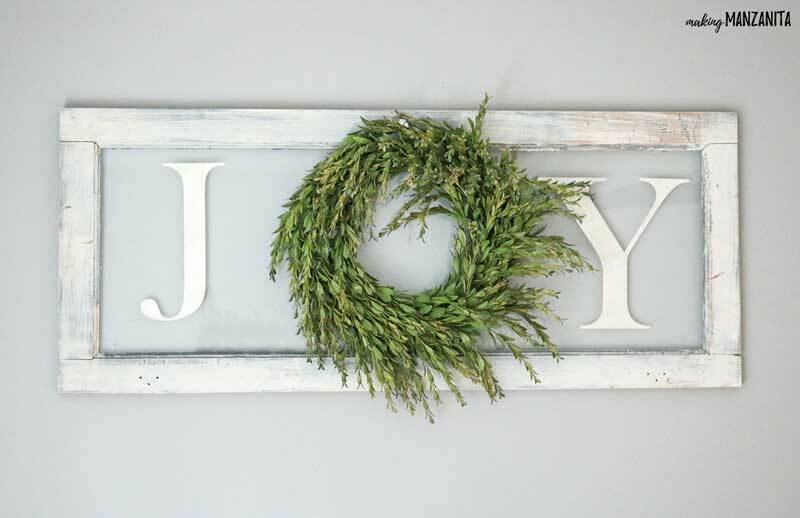 This DIY joy sign with wreath on vintage window couldn’t be more simple! 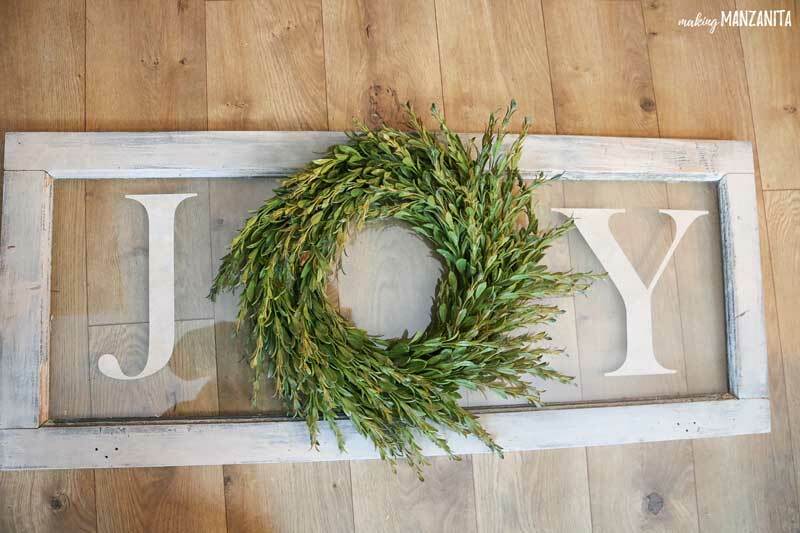 Learn how to make this farmhouse Christmas sign to decorate your home for the Holidays. I love making Christmas crafts. But here’s the thing, they’ve gotta be simple! The holidays are a crazy time of year for everyone and this year our life is crazier than normal. Since I put the vintage window and farmhouse style wreath up, I’ve had this Christmas project in mind. I couldn’t wait to make it and I’m so in love with it now! This post contains affiliate links, but nothing that I wouldn’t wholeheartedly recommend anyway! Read my full disclosure here. Attach a Command hook in the top middle of the window and hang your wreath. 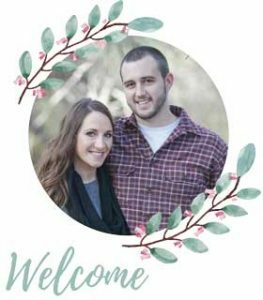 You can buy a wreath (check out my favorite farmhouse wreaths from Etsy) or make your own (learn how I made my farmhouse style wreath). Peel and stick the J on the left side of the wreath and Y on the right side of the wreath. 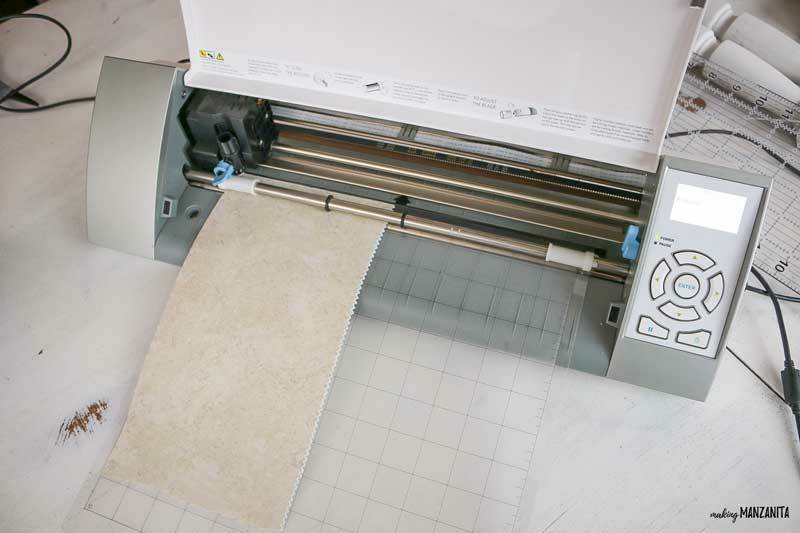 Seriously, guys…this Christmas DIY is just THAT simple. All you have to do is cut the letters, hang the wreath and attach the letters! Can you believe that I found this window and a few others just like it in an alley way by someone’s trash?!? I used to love going “alley cating” when I lived in San Diego years ago. The alley ways of the beautiful Central Oregon just don’t compare, haha. If you don’t have a vintage window like this laying around, you could make a simple wood sign (or buy one like this, which is a little smaller than the window but the same general shape). 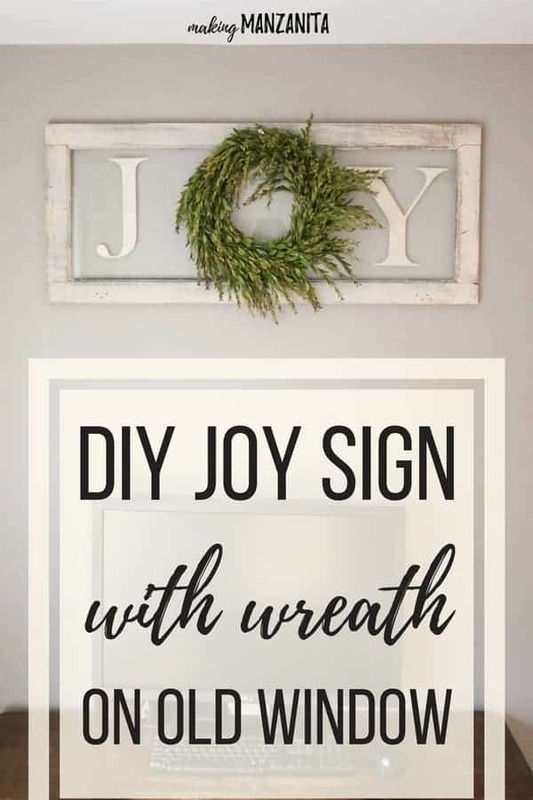 This DIY joy sign with wreath on vintage window is the perfect addition to your farmhouse Christmas decorations. Since it’s so simple to make, there’s no reason why you shouldn’t make it this year, right? !